It’s not secret that I’ve been feeling a bit burned out, tired of my job, disappointed in missed opportunities, and my manager (who is awesome, love him!) is fully aware that I’m looking for something else within the company. He understands and supports it and has wished me good luck with every interview I’ve had thus far. But this feeling of dissatisfaction, constant to-do lists that never get resolved, stress and fatigue at work has been making me feel lethargic. I don’t like feeling this negative about my job and wish I could get out of this funk! The forced break for a few days has most definitely helped me out of this funk, even if it’s temporary. I’m sure you can all relate–stressful, exhausting work weeks lead to weekends packed with chores, errands, wedding planning details, etc etc…I never had down time. It’s rare that I have an evening off just to myself and I can’t remember the last time I didn’t have at least four things planned on a weekend. Mother Nature stepped in and said “REST. STOP WITH THE SCHEDULE.” And She piled on about 6 inches of snow to force her point! I get it! Friday was a snow day from work and I got a lot of stuff done, then Michael and I binge-watched part of season 2 of The Shield (totally late to the party, but wow, what a great show!). It was nice just laying around in my pajamas, cuddling with Bella (who was exhausted from all her playtime in the snow) and just relaxing. Friday evening the snow was coming down steadily. It looked so beautiful as it fell. I had the urge to bake something but didn’t think baked treats would be a good idea when we were trapped in the house for four days. Baked goods + cabin fever + boredom = recipe for failure. I decided to make some comfort food for dinner instead. 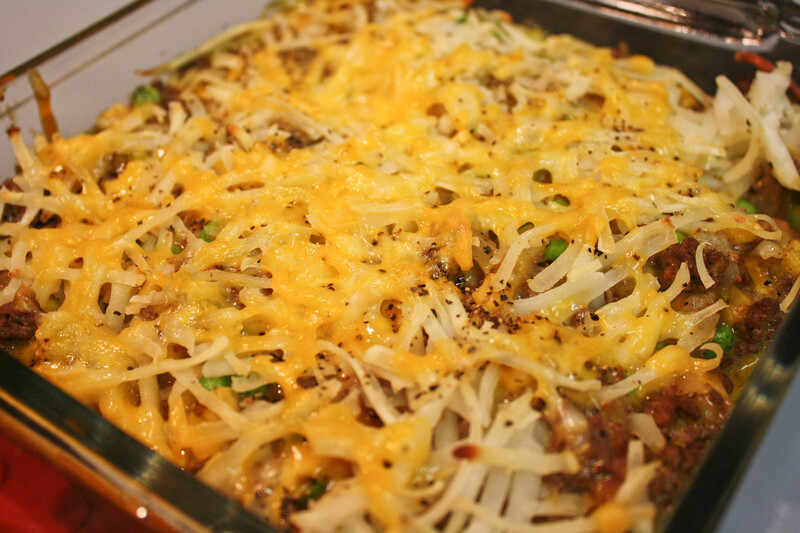 Preheat oven to 350 F and spray a 9" x 13" glass or corningware casserole with pan spray. 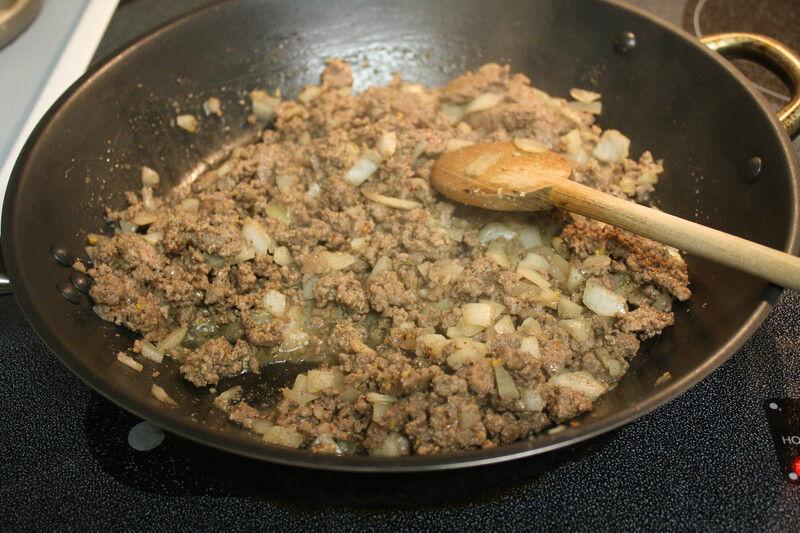 Saute beef and onions until the beef is browned and the onions are softened. Remove from heat. Stir in the soup, salt, and pepper; spread mixture evenly in the bottom of the casserole dish. Next spread a layer of frozen corn and finally hash browns on top. Bake until heated through and the hash browns are slightly crisp. I used the recipe as a jumping off point really. I saw a few recipes that I liked but didn’t like something from each of them, so I kind of made my own. I didn’t have cream of mushroom soup so I used condensed cheddar soup. I used a small can of corn, about 1 cup of frozen peas, and 2 cups of the hash browns. With my alterations the calories came out to 337 calories as opposed to the 450+ the other recipe said. The dinner turned out to be really delicious. It was hearty, filling, homey; we both thought it was tasty and hit the spot on the cold night. It may not look pretty but it tasted good, that’s all that counts. 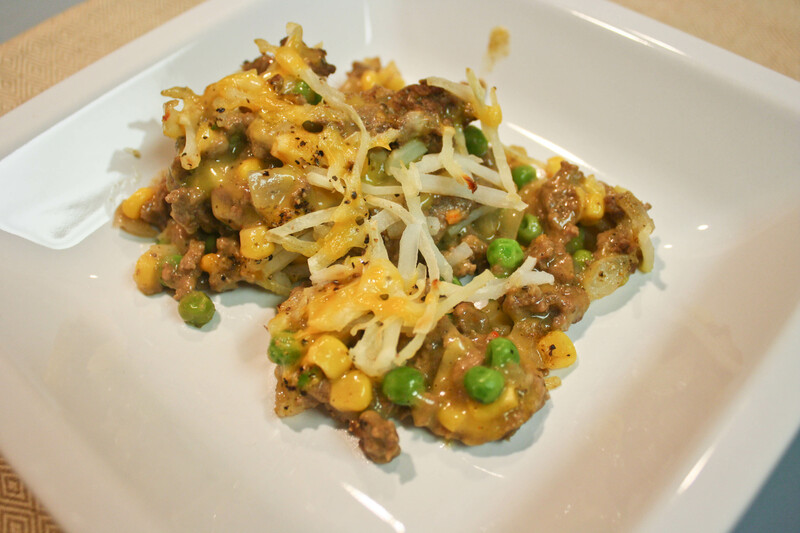 I guess I’d describe it as kind of a white trash casserole/hamburger helper creation. 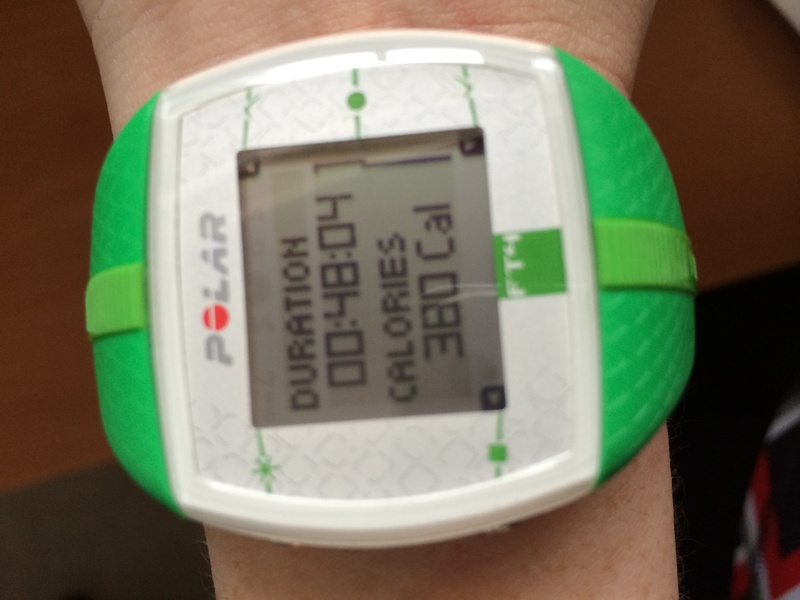 It was another at-home workout since it snowed a few more inches over the night. I did an ab workout on the Nike Training Club app and also did a short spin workout on the bike trainer. I haven’t been on my bike since October. While I’m happy that I have options at home to still get my workout in, after a second at-home workout I’m ready to get back to the gym. 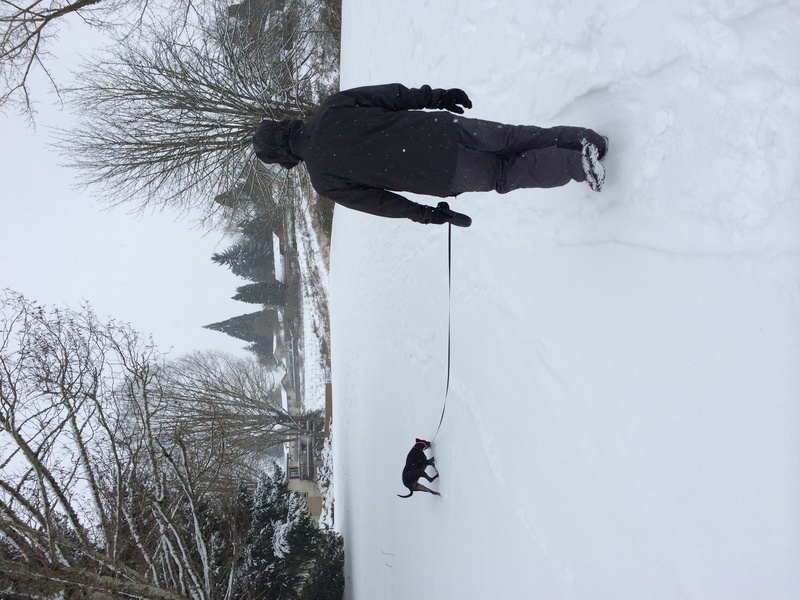 After lunch (the tater tot casserole was just as great as leftovers), Michael and I took Bella outside to play in the snow. We walked over to the school near the house and there were tons of kids out! Even more than on Friday. 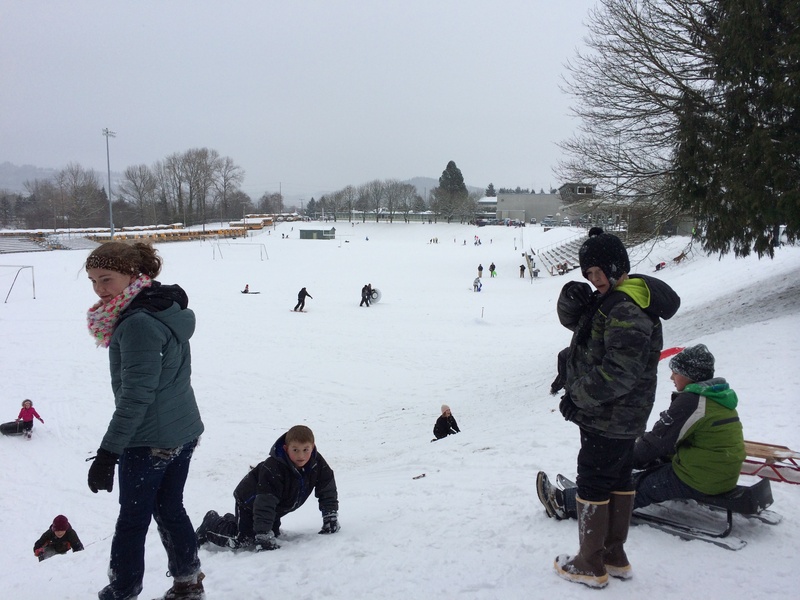 There were kids snowboarding, sledding, inner-tubing; dogs running around chasing each other, everyone was out! On Sunday I did some home yoga. I actually like doing yoga at home over the gym. I can do it at the pace that I like it. I know that the point of most yoga is to slow down and relax but for me it’s more about the stretching and doing it a snail’s pace makes me crazy. So I just did it on my own in the living room. It was a good break being snowed in all weekend long but I tell ya, by Sunday afternoon I was starting to go stir crazy and was ready to get out of the house and (gasp) and actually go back to work! I wish I had used my time productively but at least I got a break to be lazy…. Much as I hate snow, I loved the 2 snow days last week for the same reason – it was a break from everything including the alarm clock!!! It is so funny how many people are out playing in the snow in that picture – I guess kids here get kind of immune to the snow and don’t always feel the need to get out in it. 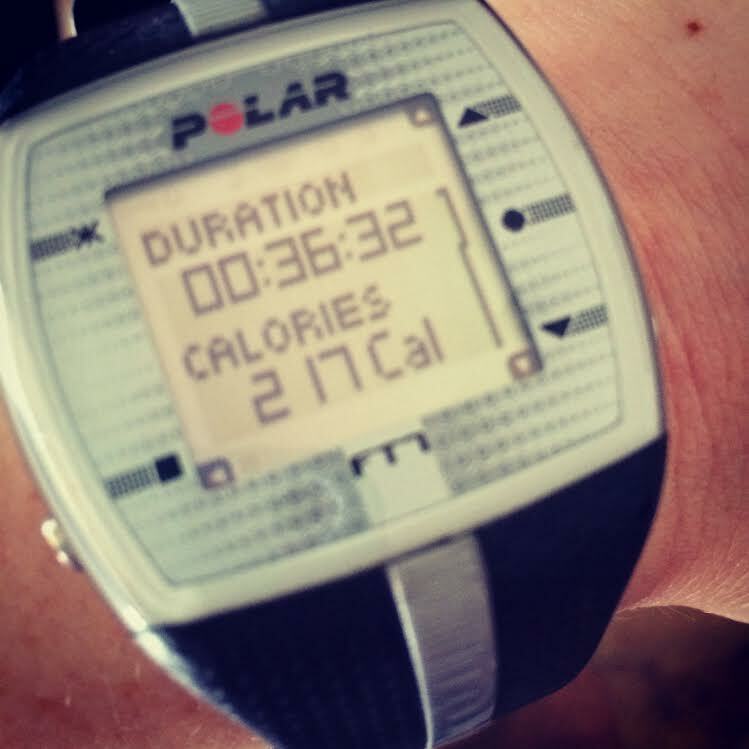 Kim recently posted..Off my Game a Bit but Totally Nailed my Step Goal!!! We get it so infrequently it’s usually a treat! We are so used to snow that there are hardly ever snow days unless it has been snowing overnight and into the next morning. 2 hours delays happen. I’m always impressed with your snow and how you guys rarely let it slow you down. At least you are used to it! Snow like yours shuts us down!! I always got into trouble when I got burnout from a job. I’d just pack on the pounds. Taking time off is so important. It’s even better when you can have a moment to yourself on your day off. We get our snow tomorrow night. Good luck on the job hunt! Yep, that’s me right now!